Use the form below to contact accommodation BCN MATA HARBOUR APARTMENTS DUPLEX-A directly. 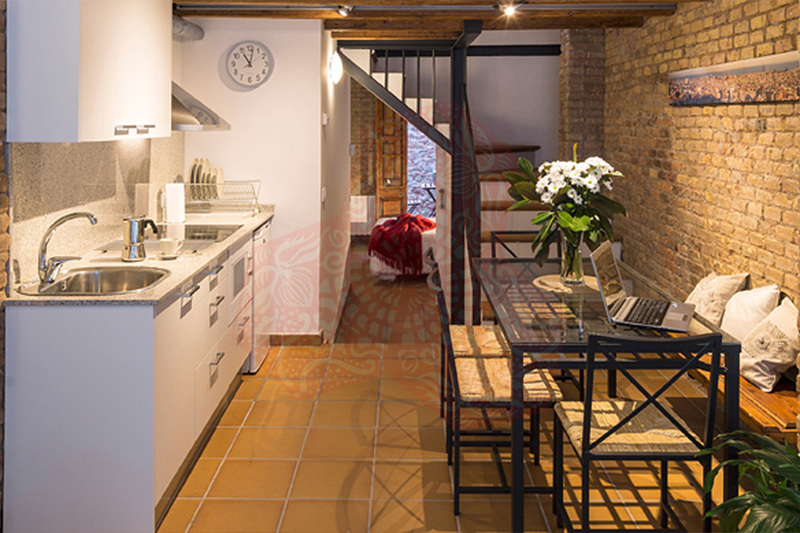 BCN MATA HARBOUR APARTMENTS DUPLEX-A is a two floor apartment newly refurbished combining up to date features with rustic chic elements. 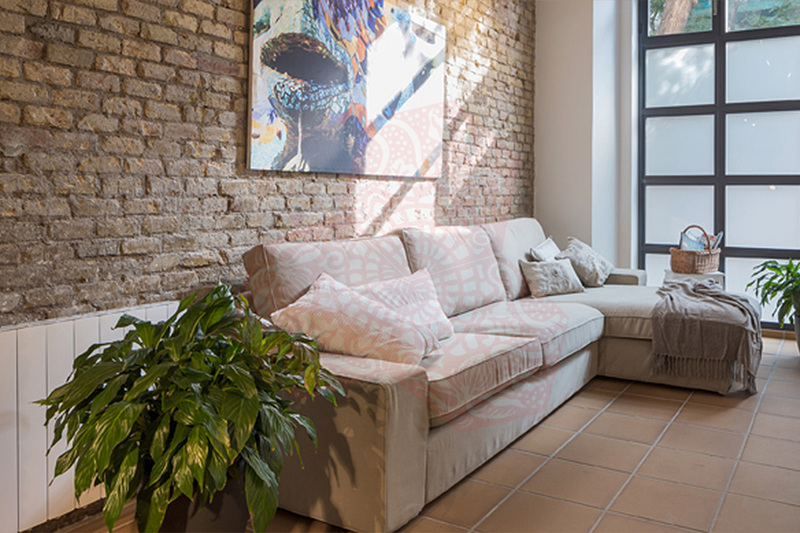 High ceilings, red brick walls, visible wooden beams with plenty of natural sunlight make this a welcoming and warm choice of property in Barcelona. Offering everything you could possible want for a perfect stay (Heating, Air Conditioning, Free WiFi, safe deposit box, iron…). 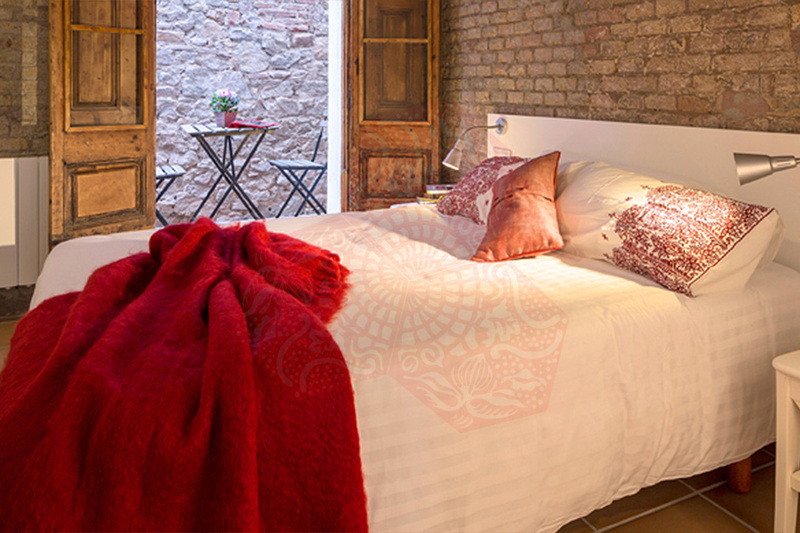 On the 1st floor of BCN MATA HARBOUR APARTMENTS DUPLEX-A you will find an En-Suite bedroom with double bed, private bathroom and outside terrace, there is also the living room and the kitchen on this florr. Up on the 2nd floor you will find two other bedrooms one with a double bed and another with two single beds (which can be pushed together to make another double if required), there is another complete bathroom on this floor as well. 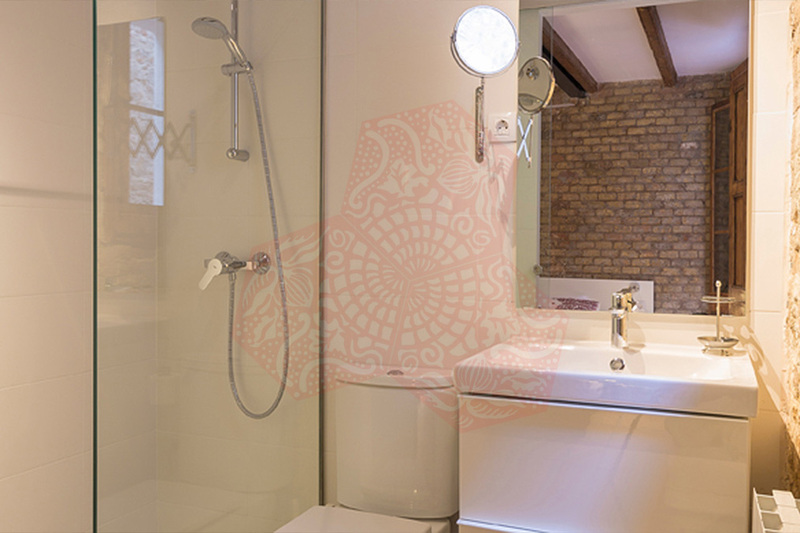 BCN MATA HARBOUR APARTMENTS DUPLEX-A offers access to a rooftop terrace complete with a sundeck area and shower. This community area is the perfect place to relax after a hard days work.